Camping & Gîtes "en Campagne"
Camping & Gîtes "en Campagne" находится в Saint-Christophe, Шаранта. кемпинг предлагает местa Выделенные, в тени, Без тени и Площадки с небольшим количеством тени. Предлагаются в аренду Ателье, мастерские, квартиры и Бунгало. В кемпинге есть Игровая площадка. Этот инспектор посещает каждый год Camping & Gîtes "en Campagne" и проверяет кемпинг по более 200 элементов инфраструктуры и услуг и другим критериям.Инспектор является сотрудником ACSI и не имеет никаких обязательств перед кемпингом. Alex and Hester, the owners, greeted me on my arrival as if I was friend of theirs, they were very welcoming and made me extremely comfortable after a very long motorcycle ride. I pitched up my tent on one of the enormous pitches they have. It is quite unique as it is a small but perfectly formed site, and the seating/eating area is communal and in the evening many campers gather there and chat. Needless to say, when I arrived on my Harley Davidson, everyone wanted to know about my trip and it was nice to find such a warm welcome with lots of company. I can't wait to go back, and will do so this June/July this time with my son, so if you're reading this Alex, expect us both! We stayed for almost two weeks on this small, but perfectly formed, site in the middle of the Charente/Limousin countryside. Exceptionally large pitch with enough room for caravan, car and awning. The owner is most helpful and friendly. Bread etc delivered to your door each morning! The site is not too far from larger towns (e.g., Angouleme) but is definitely one for those who prefer small, friendly and quiet sites. We would return in the future which is a recommendation in itself. Хотите забронировать место в кемпинге Camping & Gîtes "en Campagne" или Вам нужна дополнительная информация? См. информацию ниже. 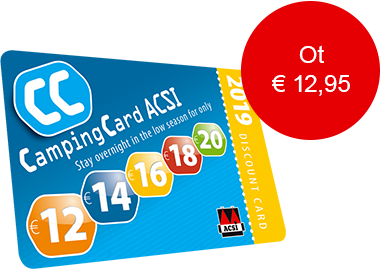 ACSI Eurocampings переправляет ваш запрос информации в "Camping & Gîtes "en Campagne"".